For a book that will keep you captivated over the holidays, look no further than The Island of Doctor Moreau. Written by H.G. Wells, this science fiction novel is presented in a format that is unique for the times: a discovered manuscript. The introduction is by the nephew of the narrator, Edward Prendick, who continues to “transcribe” the work. 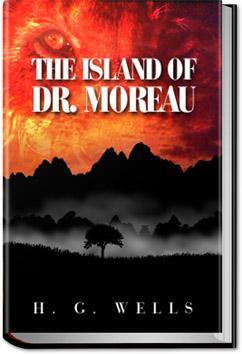 The Island of Doctor Moreau was written in 1896 and surrounds Dr. Moreau, a scientist who creates living creatures from animals through vivisection. It was published at a time when England was embroiled in heated debate over animal vivisection. It is a significant novel that saw the formation of the British Union for the Abolition of Vivisection two years after its publication. The novel is heavy with many philosophical themes, forcing you to examine and question human nature, identity, and religion. Eugenics is also explored. If you want to truly examine the state of man, The Island of Doctor Moreau is a fascinating book to read.